November of 2013, Kari Coble started a Volunteer Group called “One Dog at a Time ODAAT” to assist outdoor dogs with straw, food; a new lightweight tether to replace a large, heavy chain; heated water dishes, and to repair or replace a dog box when needed. ODAAT became a reality. Volunteers conducted a few welfare checks that proved unfounded. The next report changed lives forever, as for the next 35 days, ODAAT Volunteer lives were consumed with the removal of over 80 animals from a hoarding situation in the Uniontown PA area. These animals were living in deplorable conditions on the side of a garbage strewn mountain All the animals were legally surrendered and placed in no kill shelters or rescues. During this investigation ODAAT learned an incredible amount of valuable information about the humane law and the system in place-the who, what, when, where, why, and how of the current humane system. ODAAT learned more in that 35 day time period, than it could in years of providing supplies to a few dogs. The most important lesson is that this group is direly needed in Pennsylvania and the laws and system currently in place are inadequate and broken. These animals have still not received justice. Kari (President and Founder of ODAAT) took on the incident reports and contacted Dog Wardens, Humane Officers, State and local police and many, many other organizations to assist dogs in need all over this state. Reports of animals frozen to roads alive, dogs without any shelter, tied to trees, or truck bumpers. There was one report of a dog living in a vari kennel in the middle of a trash strewn yard-the complainant for this one sent a photo that horrified Kari-she could see a large dog hunkered inside the box, unable to stand up the whole way or lie down. Kari assumed this was blatant disregard for Humane Law that it should be an easy fix. This area had a Humane Officer. Kari thought she would call the Humane Officer and she would take care of it, Kari could not have been more wrong. Throughout that week, it became clearer and clearer, that there is no system in place in the state of Pennsylvania assisting animals in need. Kari had PSP officers advising her to call Dog Wardens about 4 Shih Tzus tied to one dog box in the middle of a foot and a half of snow in -30 degree weather. Even if they were the agency to contact, (they aren’t) it was a Friday night at 9:30 pm! Dog Wardens only work Monday through Friday, unless on special and approved assignments. Kari was deflated- to say the least, and combed every avenue she could think of. More research proved that the area with the 4 Shih Tzus had no Humane Officer, not only troubling but left her with no options. 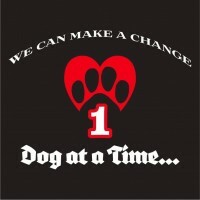 The Mission of One Dog at a Time ODAAT is a dedication to legally assist animals in need, by working in tandem and cooperatively with Dog Wardens, Humane Officers, local police and State Police to build relationships and solutions with all. ODAAT realizes the problems in PA are not going to be fixed overnight, and until the cruelty laws are changed, all groups have to work within the constraints of the laws. ODAAT works hand in hand with the people who are able to enforce Humane Laws and assist them with resources and training they so desperately need. Asking an untrained police officer to go on a dog call is like asking a rescuer to go on an armed robbery call with a catch pole.